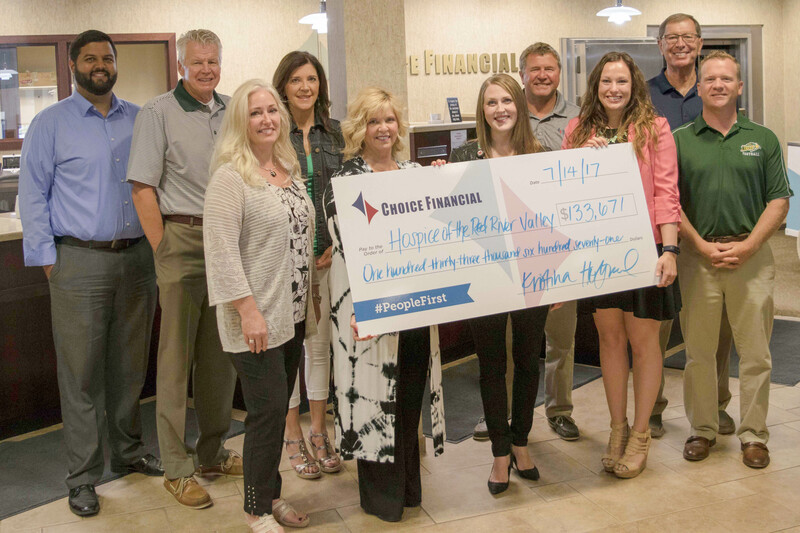 Choice Financial’s “Go Hawaiian for Hospice” lunch fundraiser, held June 27 in Fargo, generated $133,671 for Hospice of the Red River Valley (HRRV). This year’s event brings the five-year total amount raised to $362,453. Attendees of the luau-style lunch enjoyed a roast pig, baked potato, fresh pineapple, Hawaiian punch and a frozen treat. The event also featured a memorial wall where guests were invited to remember their loved ones. Attendance was estimated at 2,300 people. The money raised provides care for patients and their families and supports HRRV’s grief support services, as well as other non-reimbursed needs. Choice Financial is a people first financial services organization that remains locally owned and built around long-term customer relationships, well-rounded products and services, and authentic community banking. For more on Choice Financial’s history, visit choicefinancialgroup.com/virtual-timeline. Hospice of the Red River Valley is an independent, not-for-profit hospice serving all, or portions of, 29 counties in North Dakota and Minnesota. Hospice care is intensive comfort care that alleviates pain and suffering, enhancing the quality of life for patients with life-limiting illnesses and their loved ones by addressing their medical, emotional, spiritual and grief needs. For more information, call toll free 800-237-4629, e-mail questions@hrrv.org or visit www.hrrv.org.